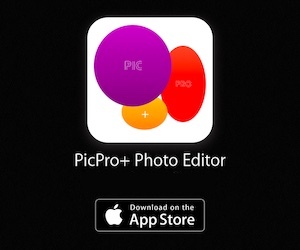 If you are looking best Zip Unzip Rar Archive Extractor apps for your iPhone and iPad. Here, you can see 5 best zip unzip rar archive extractor apps for iPhone and iPad. With the help of these apps, you can open zip, rar and other files on your iPhone and iPad, they can solve your unzip attachment and files without any issues. 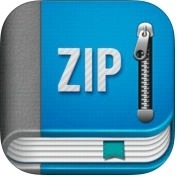 1. iZip Pro - Zip Unzip Unrar Tool ( iPhone + iPad ) :- With the help of iZip Pro app, you can easily and quickly extract all the most popular types of archives in addition to ZIP, RAR, GZIP, Password ZIP and several different types of documents and files including DOC, PDF, GIF, JPG, PNG, video file formats and, you can also download or upload files from or to iCloud drive, Dropbox, Google Drive and Box. 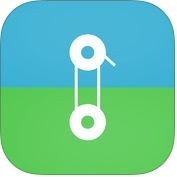 iZip Pro-Zip Unzip Unrar Tool app has lots of amazing and unique features such as compress files into ZIP file, compress photos and videos from Camera roll, compress files using a plain password or an AES password encryption, save images to Photo Album, print documents and, you can also open a file in another app. 2. WinZip Pro - The Leading Zip, Unzip & RAR Tool ( iPhone + iPad ) :- If you want to send or receive documents with photos files through your iPhone and iPad, you can use WinZip Pro-The Leading Zip, Unzip and RAR Tool app on your iOS devices. With the help of this Zip Unzip Rar Archive Extractor app, you connect directly to your Google Drive, iCloud, Dropbox and OneDrive accounts to zip, unzip and share files, you can create and save .zip and .zipx files to your accounts, you can choose Zip or Zipx format to compress and email large files, photos and video easily, you can protect your files before you save and share with powerful 128 or 256 bit AES encryption, you can share and zip photos and videos from your camera roll, you can easily view all images in a Zip file with the enhanced image viewer and, you can also send files to other iOS users with integrated support for AirDrop. 3. iFiles 2 - File Manager, Cloud Storage, PDF Reader ( iPhone + iPad ) :- iFiles 2 is one of the best and advance featured zip unzip rar archive extractor app for iPhone and iPad. iFiles 2-File Manager, Cloud Storage, PDF Reader app has several powerful and user-friendly features such as supports online cloud services & protocols, PDF Reader with annotations, exceptional speed, search, and customizable, file sharing, new audio player or engine, file manager, create zip files, unarchive common formats like Zip, RAR, 7Zip, Tar, Gzip and Bzip2, audio and video player formats, image viewer formats, passcode lock and, you can also export or import files to or from another app using extensions support. 4. Zip Browser Pro ( iPhone + iPad ) :- With the help of Zip Browser Pro app, you can view content of ZIP, TAR, RAR, jar, and other files with password protected files on your iPhone and iPad, you can also preview content of documents, files and email individual files from archive. Zip Browser Pro app has lots of unique features such as search inside archive, save images into gallery, show or hide system files, view, PDF & text files, send the whole zip file not just parts of it, audio and video formats, photo formats like-JPG,JPEG, GIF, BMP, TGA, PNG and TIFF and, other useful features. 5. zip rar tool free - (zip/unzip/unrar/un7z) from email & File manager for Dropbox, Box ( iPhone + iPad ) :- zip rar tool free is one of the best and perfect zip unzip rar archive extractor apps for iPhone and iPad. zip rar tool free has lots of advance features such as Unzip or UnRAR files from many other app, compress files & folder into ZIP file, open and extract files from other compressed file formats like RAR, ZIP, and 7z, cloud storage service, document viewer and file manager, supports view PDF file, view image files like JPG, PNG, GIF & other formats and other plain text file, passcode lock, media files playback and, you can also import and compress photo and videos from camera roll or photo album.